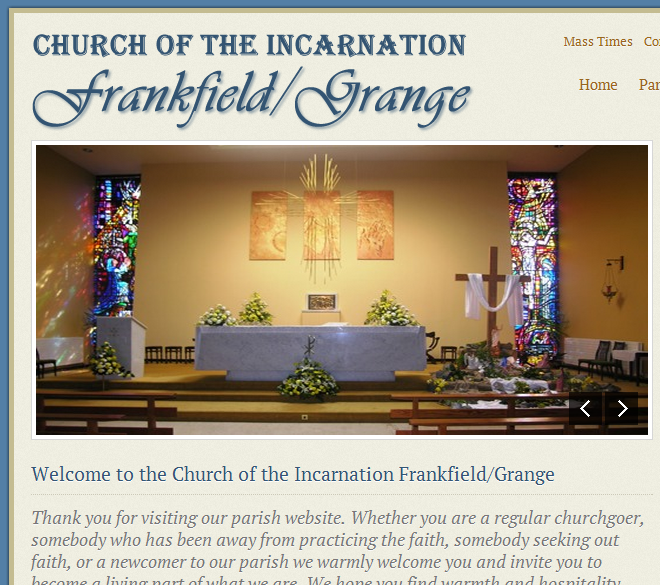 Frankfield/Grange Parish is a parish based in the Cork city suburbs. 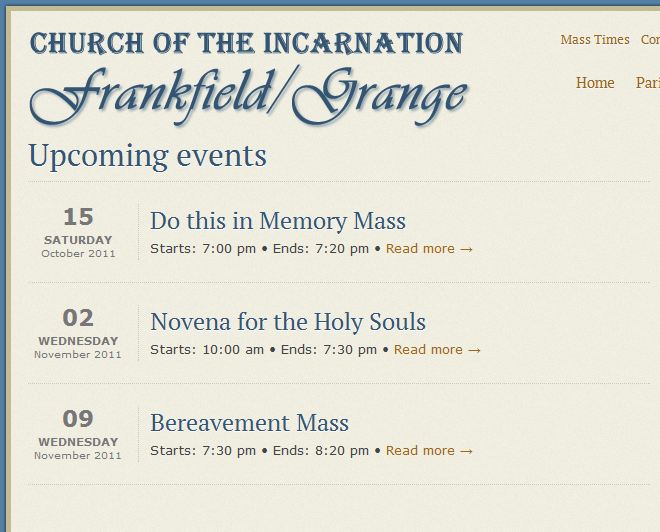 They wanted a web presence that would allow its parishioners to keep up to date on the latest news within the parish. They wanted to display the information in a clear and concise manner on their homepage. They are able to add news stories, events and articles to their site using WordPress CMS.